TheGunBlog.ca — Canadian gun owners “want their rights respected,” Candice Bergen, a member of parliament with the opposition Conservative Party, said on Twitter yesterday after rising in the House of Commons to fight Bill C-71 against hunters, farmers and sport shooters. Rights to dignity, heritage, culture, protection, privacy and property have become critical issues for October’s election as the Liberal Party government examines new gun bans and its helpers among mayors, media and medical lobbyists escalate demands for mass confiscation. If you can’t enforce your rights, you don’t have any. The Conservatives are the only major federal party today to regularly oppose bans aimed at lawful owners. All firearms are banned already under threat of prison for anyone without a police-authorized gun licence. Bergen, an MP from Manitoba, didn’t specify which petitions she was referring to. Thank you for standing up for millions of men, women and youth in Canada. Hunting and sport shooting are at the heart of our culture and heritage. They are among the safest and most-popular outdoor activities. More Canadian adults have a gun licence than play golf or hockey. Madam Speaker, I am pleased to rise to table a petition signed by Canadians from across the country who were happy and relieved when our Conservative government got rid of the wasteful and ineffective long-gun registry and then were saddened and dismayed to see the current government introduce legislation in the form of Bill C-71 that once again targets law-abiding gun owners. These signatures are not just from gun owners; they are from families of hunters and families of people who are using firearms for legitimate purposes in rural areas. These petitions are from Canadians right across the country who want gangs and violence and drugs addressed by legislation, not by targeting law-abiding firearms owners. I am happy to table this petition and to be able to continue to fight for the rights of law-abiding firearms owners. 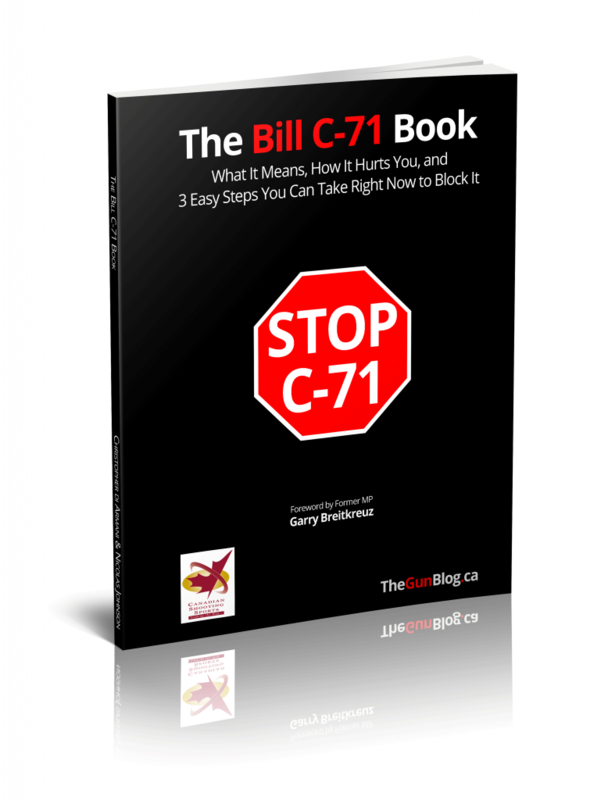 A petition against Bill C-71 last year sponsored by Conservative MP Rachael Harder from Alberta had the most signatures of any e-petition to the House of Commons in 2018. It’s also the No. 2 most-signed e-petition on record. “C71 serves no public interest, safety or otherwise, and it should not pass,” Sheldon Clare, the president of the National Firearms Association, tweeted today from his personal account in response to TheGunBlog.ca. Yes, and unfortunately it was basically ignored. C71 serves no public interest, safety or otherwise, and it should not pass. Share and “like” their comments on social media. E-mail to show your appreciation. Join, volunteer or donate to help them win. Subscribe to TheGunBlog.ca to get our e-mail updates. Please consider supporting our work with a donation.